Appearing in a foreign city where you don't know any road and have to rely on a map or ask for a direction to strangers in the street, you will not only lose much precious time but also quickly get irritated. 8Rental has employed a staff of experienced and responsible drivers who will take you to any destination necessary! 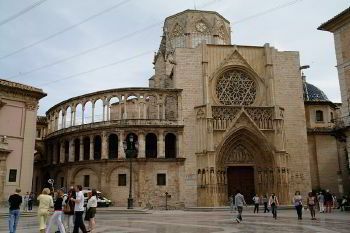 Rent a car with driver in Valencia and get transported in the city royally! And if you don't speak Spanish, you needn't panic about how you will contact with your chauffeur as our drivers speak French, English, and Dutch, too. Depending on your requirements, 8Rental will send you the most appropriate chauffeur. All of the employed chauffeurs have driving licenses and impressive practice. Booking a lux vehicle, you can easily understand what it feels like to be driven in chic and style! The remarkable car rental with driver in Valencia can easily turn this into a reality for you! All that you need is to hire a chauffeur driven car in Valencia and sit back in the comfortable seat of a premium car model. We have a series of most advanced and remarkable cars including Ford Mondeo, Audi A series, BMW 5 and BMW 7, as well as Mercedes C and S class cars, Toyota Camry, and many others. Besides the gorgeous appearance, these vehicles also feature premier quality interiors, the best specs and a line of comfort amenities. 8Rental approaches every client with a great sense of responsibility and respect. We guarantee the safety of your transportation in Valencia in case you make use of our services. 8Rental provides all its customers with health insurance and a refund guarantee if anything on the road goes not right. However, once you deal with 8Rental, you are insured against unfavorable situations. The leading car rental with driver in Valencia wants to make your experience here pleasant and memorable. Therefore, it has some extras to offer you including free fuel, pick up and drop off at the airport, frequent discounts and many others. Hiring a car from this service, you will see everything for yourself! 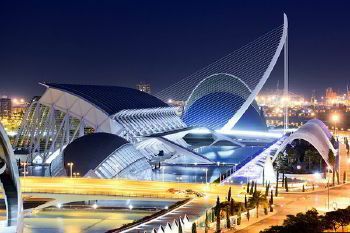 Valencia is a warm Spanish city with magnificent cultural sights and entertainment facilities. Among the most amazing landmarks and places of interest, the modern crown jewel - the City of Arts and Sciences remains the focal point! This is a futuristic complex of theaters, cinemas, museums and other establishments. Besides the market, where you can buy juicy fruits and local delicacies, Palacio del Marques de Dos Aguas, Plaza del Mercado, Basilica de la Virgen de Los Desamparados, and others, this Spanish destination also has several fashionable restaurants where you can taste as European, Asian, so local rich cuisine. If you are a real gourmet, you simply can't but have a dinner in Casa Carmela. Particularly here you can enjoy paella which is made on the fire. Book anAudi A8 and tell the driver to head to Restaurant El Sequer de Tonica, El Bolon Verde Restaurante.